The Columbia SC area is home to over half a million people and comprised of multiple towns and counties if you consider the entire Midlands. SO; if you’re new to the area, and like either gated or private clubs communities what are the different country clubs one could join in and around the Columbia SC area (otherwise known as the Midlands). Centrally located in the center of the state is the capital city of Columbia which is about halfway between Charleston & Greenville; the other two largest metropolis cities of South Carolina. The Columbia SC area has many golf courses to play, some private, some not, some country clubs and some not country clubs. Columbia SC golf communities like all towns vary in quality and price for public vs private so here I will give you a list of all the country club communities of Columbia SC with the area of town. 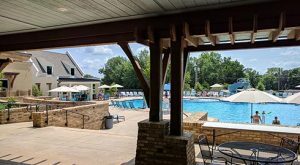 I think it comes as no surprise to most that the vast majority of country clubs center around golf courses, but that isn’t always the case, some are just there to offer swimming pools, tennis courts, and neighborhood fellowship.